Cremeland in Manchester, NH is an institution. I visited them recently due to a soft serve craving. This won’t be a full review, because all I did was order their soft serve. It met the mark for soft serve (I ordered a twist) and at two scoops for $3.80, it was very affordable. I can’t give them the full review, but it’s worth a stop when you need ice cream in Manchester. Noosa may be known for their delicious (and sweet!) yogurt, but when I learned their plant was near Fort Collins, CO, I made visiting their local cafe, on site at their plant, a priority. The cafe specializes in coffee and tea drinks and offers a lot of options to customize a sandwich or bagel, plus they offer a few other specials. They carry some fun non-dairy milks, including oat milk. You can also purchase their own yogurt, milk (including root beer milk), eggs and a few other items that seem chosen for their own staff. They also offer several sweet options and carry gluten-free goodies too. On a quiet day, I headed to the cafe to try their own soft-serve ice cream, at the recommendation of a friend. I was surprised to see that they don’t list the prices for sandwiches, bagels and most baked goods. I’m sure I could have asked, but I always prefer to be able to find that information for myself. They offer soft serve chocolate, vanilla and a twist option. Watch carefully for your order because they may not announce when it’s ready. I thought the prices were kind of cheap! I went with a twist. They charge $2 for a cone or $2.50-$3.50 for a cup. The ice cream was very smooth. It tastes very fresh, and I imagine it doesn’t use a lot of preservatives. It wasn’t super rich, but it’s very pleasant. If you love soft serve, I’d rate it an 8/10. However, they also make shakes (which are also cheap), so those are probably worth a try too. I do recommend eating inside (there is no outdoor seating) to avoid the smell of cow dung. This cafe is out of the way, and you may lose cell service entirely, but if you are looking for a fun escape for a treat near Fort Collins, definitely visit Howling Cow Cafe! 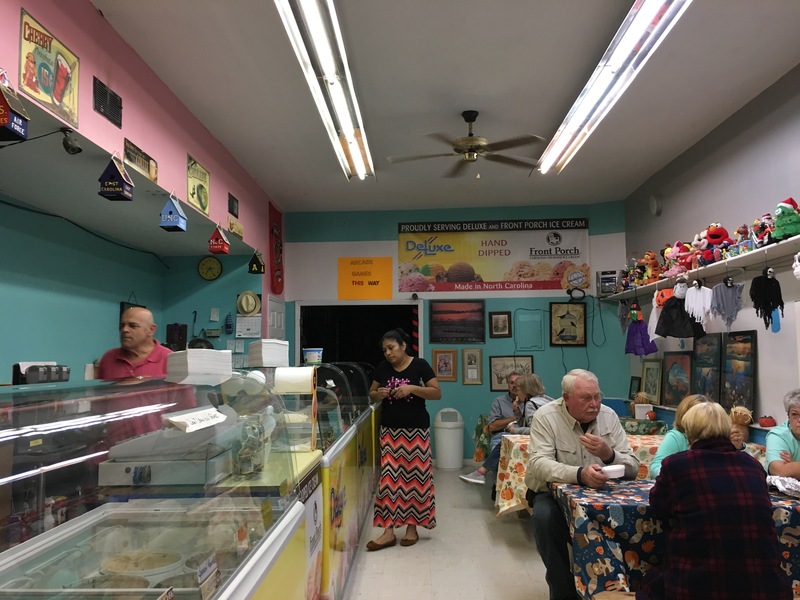 For another cafe at a dairy, you can read about Hopkins Farm Creamery in Delaware. Thanks for reading, and have a scoop this week! 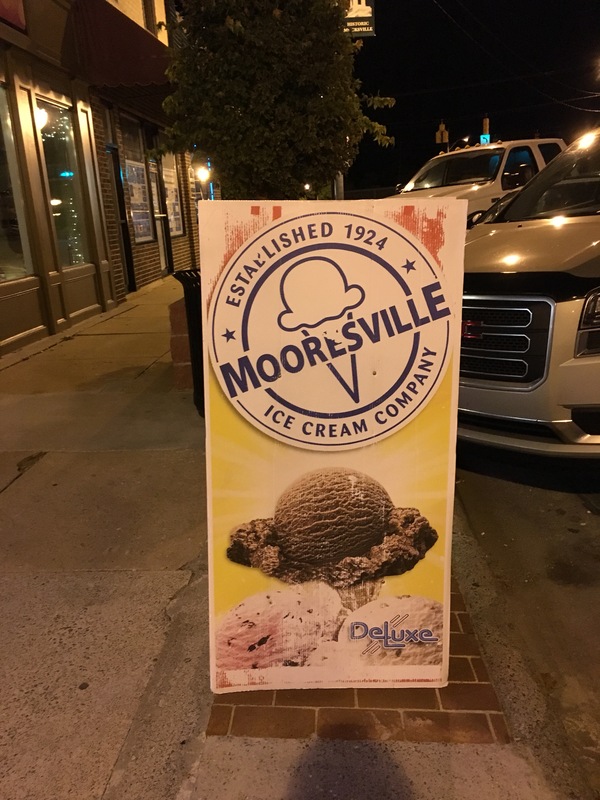 On a recent trip through Delaware, I wanted to experience what the local dairies had to offer for ice cream. 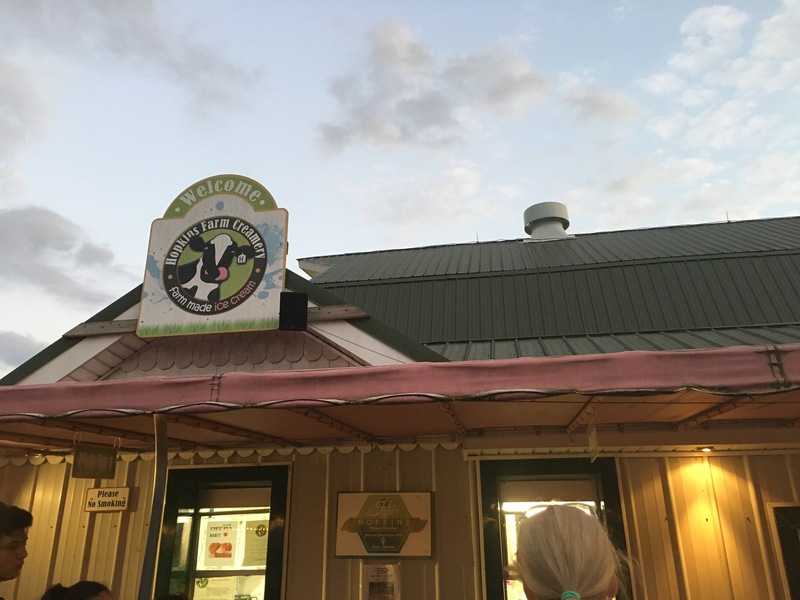 Hopkins Farm Creamery has won local awards and offered a gluten-free menu, so they seemed like a great place to visit. 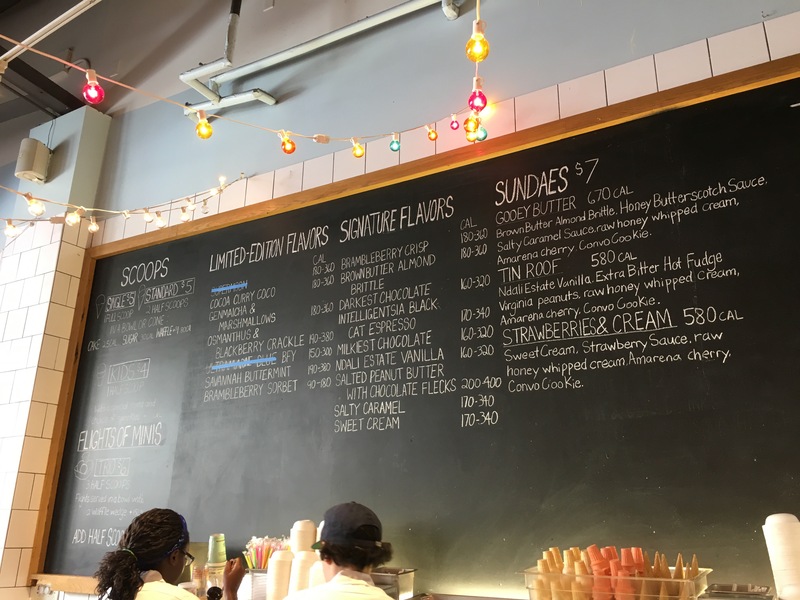 Their ice cream stand placement and design is interesting – you begin by ordering from one section, and then you’re assigned a letter where your number will be called in another section. I’m sure it’s designed to streamline crowds, but it felt a little bit impersonal. We were also surprised to see how close the dairy cows were kept to each other. 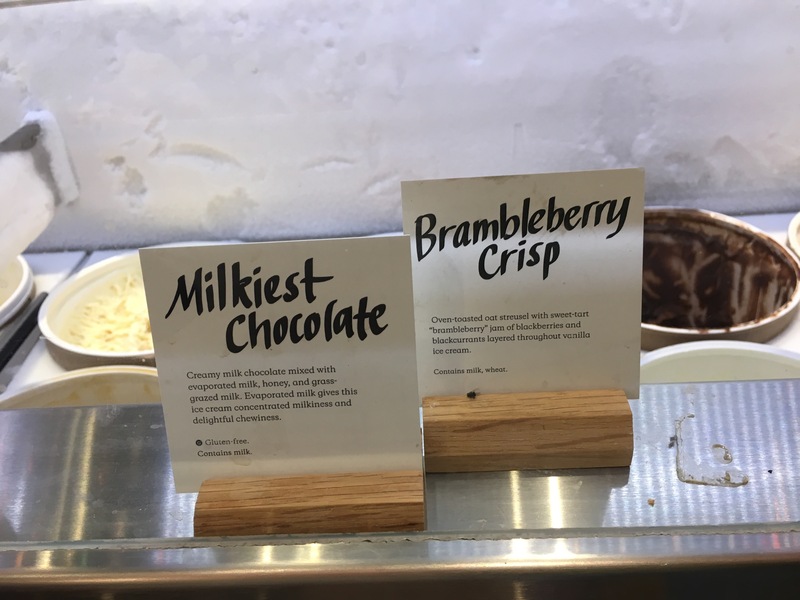 But we came for ice cream, and I was thrilled with the long list of flavors, including some with local fruit (reminding me of Cows Creamery). Visitor’s should note that they only allow one flavor per scoop. Keep that in mind as you make your decisions. Here’s what we decided on! Chocolate – This is super smooth, almost a fudge-like Dutch chocolate. Yum. Cow Pie – Same chocolate base as above, with peanut butter cups and a peanut butter swirl. Very tasty. I wouldn’t have minded more peanut butter though. And having homemade peanut butter cups (or at least higher quality ones) would have enhanced this further. Cappuccino Delight – It’s like coffee ice cream, but stronger, and with heath bars. Excellent – strong and smooth with great chips. This cappuccino delight is delightful! The portions here are pricy for what you get, unfortunately, so be prepared. The evening we were there, the crowds seemed to have an attitude, and so did all of the employees but one, who did seem happy as she took our money. Be prepared for a strong manure smell. It’s pretty overpowering, worse than any dairy I have been to. Their seasonal flavor looked delicious – Delaware Fruit has local peaches and blueberries in it. Hopkins Farm Creamery has very tasty ice cream. The overall experience wasn’t our favorite, but we will be happy to give it another try when we are in town. It’s very good! 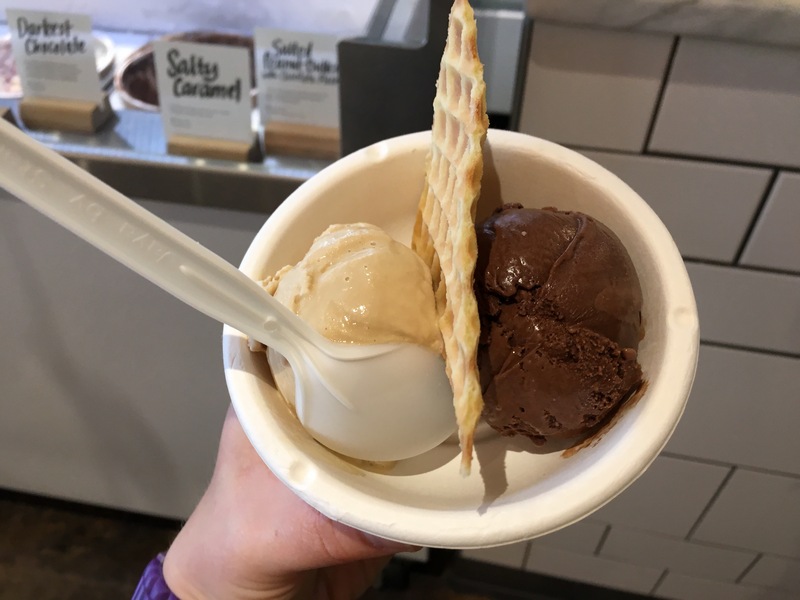 I have always heard amazing things about Jeni’s ice cream, including that they use a unique process to make their delicious ice cream (they describe it as having a buttercream body). I had never had the opportunity to try it for myself. Until Charleston. My husband and I stopped our RV in Charleston for a few hours to explore, and in my wanderings, I stumbled upon some ice cream. 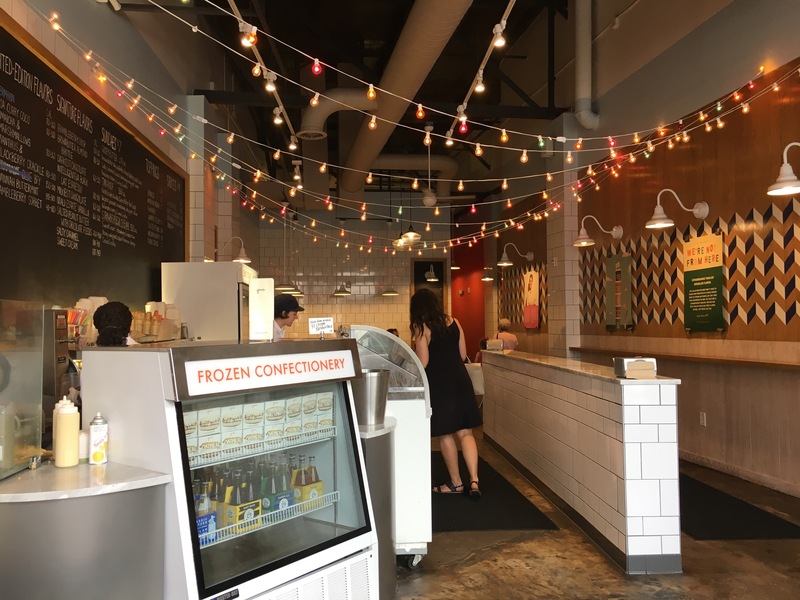 The reviews said it was overpriced, but a quick google search told me there were other ice cream shops nearby too – including Jeni’s! My decision made, I headed to Jeni’s. Although the line layout wasn’t super-clear, the service was excellent. 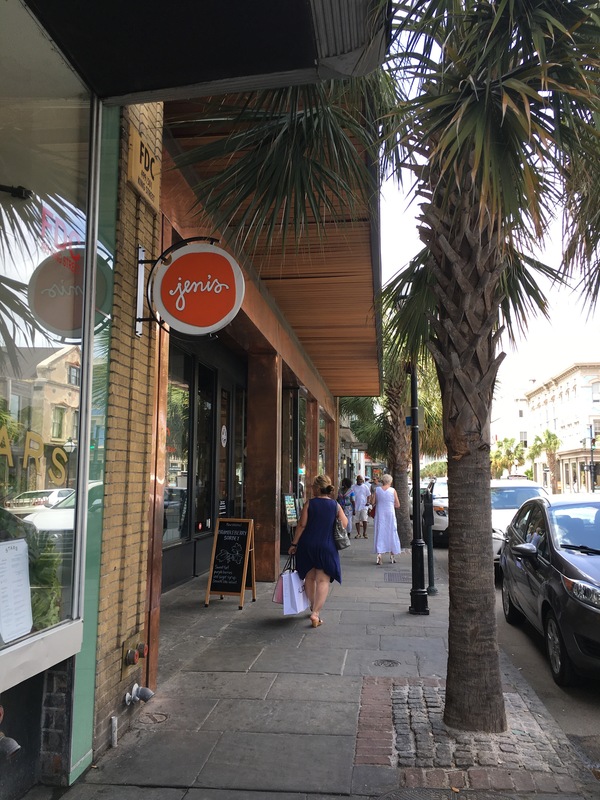 I noted that the prices were on the higher side, but they were typical for a city like Charleston…and of course you pay more for quality. The scoops were small but satisfying. If you’re hungry, I’d suggest getting the trio for $6. The ice cream is delicious and clearly uses very high-quality ingredients. Milky chocolate: A rather simple but delicious flavor. Darkest chocolate: She told me this is 99% cacao butter! It’s amazing, like an intense dark brownie batter but with plenty of sweet too. This is the perfect balance for chocolate connoisseurs. In the running for the best I’ve had, for sure! Two small scoops ran me $6 total. They throw a waffle crisp thing on top which was outrageously full of flavor. I highly recommend Jeni’s, particularly their Charleston location. They also ship nationwide! The best place to catch carnies (that’s a slang term for carnival workers) is probably at a carnival, but NH isn’t known for its winter carnivals. So instead, I headed to Arnie’s Place. Actually, I didn’t really need a carnie, although it would have made for a good story. I just wanted a clever rhyme in my title today. But I DID visit Arnie’s Place in Concord, NH for their opening weekend, and I am happy to report that it was as awesome as I remembered. I have to confess that for someone who grew up in NH, I am very late to the Arnie’s bandwagon. I had heard good things about them previously, but last season was my first time visiting. It’s a place that lives up to the local hype. Delicious homemade ice cream, including hard ice cream, frozen yogurt and soft serve in chocolate, vanilla and maple. And that doesn’t even get into their BBQ and other real food, which I have enjoyed although I am definitely not an expert on their other foods. I visited twice last year, enjoying their delicious maple soft serve (probably in the same ballpark as the creemee I enjoyed last week) as well as some hard ice cream and yogurt. When I heard that Arnie’s was opening for the season (in February, no less!) I knew I should visit and contribute a few dollars toward the homemade ice cream in February cause. So Ross, my husband, and I stopped by on Sunday. Ross reminded me that the worst thing about Arnie’s is definitely the location. It’s on Loudon Rd. a busy commercial street that isn’t particularly clean or welcoming. But its adorable exterior would be perfectly suited to a small town location or a beach setting. So when I visit, I like to imagine it’s in a nicer spot. Mind over matter, I guess? At least the parking is plentiful! Arnie’s has both indoor and outdoor ordering and seating, at least in season, and they keep a fridge stocked with ice cream cakes and treats in a corner. I will of course focus my attention on their ice cream-related products since that’s what this blog is about. Their menu is extensive, and in addition to a regular list of flavors, sundaes and other treats (including an extensive list of shakes), they have a flurry of the week. Their flurry this week sounded fantastic to me- but I am really not a fan of nuts in ice cream, so I decided to skip the awesomeness: maple soft serve with pecans, shortbread cookies and a chocolate dip! Thanks to a recent blog by my friend Theresa, I was reminded that chocolate chili chunk is one of their signature flavors…and since I had never had that flavor, that seemed like an obvious choice. 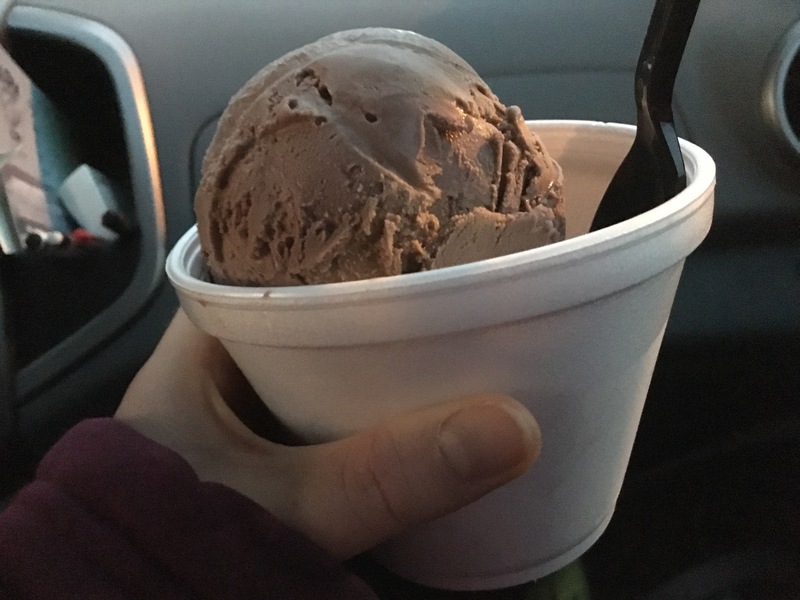 Ross got a kiddie – one good size scoop. I was afraid that the chili kick might get too intense over time, so I used it as an excuse to get two flavors – I settled on peppermint stick after trying the white chocolate, which was a little too subtle for my taste and purpose. Ross and I were really impressed with the chocolate chili chunk. The chocolate base is super smooth and a classic chocolate flavor, with good size bites of chocolate chunks. But after you get the rich creamy chocolate flavor, the aftertaste is a large dose of chili. It’s awesome! Sweet and smooth followed by the chili kick. It’s amazing to me that it happens with every bite too. The chocolate base clears the chili, and then the chili is back with a vengeance. So good. So, even if you won’t find any carnies at Arnie’s, I highly recommend a visit, whether you’re in the mood for maple soft serve, hard ice cream, a flurry or something else entirely. If you’re local, it’s probably worth buying a t-shirt too – you get 1/2 off a cone or dish whenever you wear it there, and with the way I eat ice cream, that would pay for itself easily in a summer! 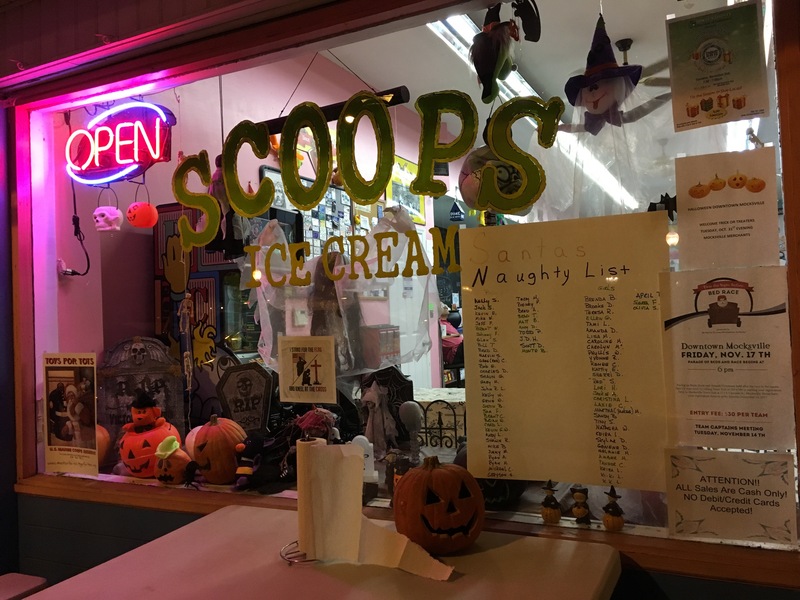 Support this delicious homemade ice cream place and the fact that they open so early in the season.